It’s the eve of Palm Sunday and I wanted to find something about this feast day in popular culture. 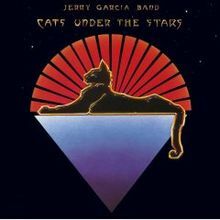 Among other things that turned up, I found out that, in 1978, Jerry Garcia recorded “Palm Sunday” with the Jerry Garcia Band for their album Cats Under the Stars. Have a blessed and grateful Palm Sunday, Wildcats.